This image was taken in Havana. 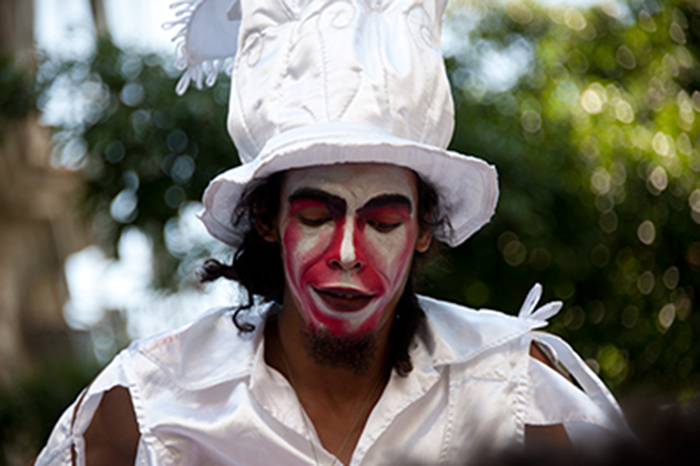 The man is part of a group of street artists who were dancing on stilts. Its development was experimental; I chose filters to see how they looked and modified the image as I went along until it looked the way I wanted it to. In essence, the development was firstly to crop to the square format I now use a lot. Then application of the Topaz Detail Lithography filter was followed by a texture layer of an old wall I had taken. A layer mask was used to remove the texture from the man’s face. Then followed a series of curves, Nik Viveza, clone and selective colour layers �“ all with partial removal of the effect with layer masks. Nik Pro-contrast and Glamour Glow filters were then used and the man’s eyes were sharpened using High pass filter and a layer mask. David, I really like the colors that you chose. The hat and the man's left shoulder are a wonderful shade of yellow. But my favorite element of this image is the texture. 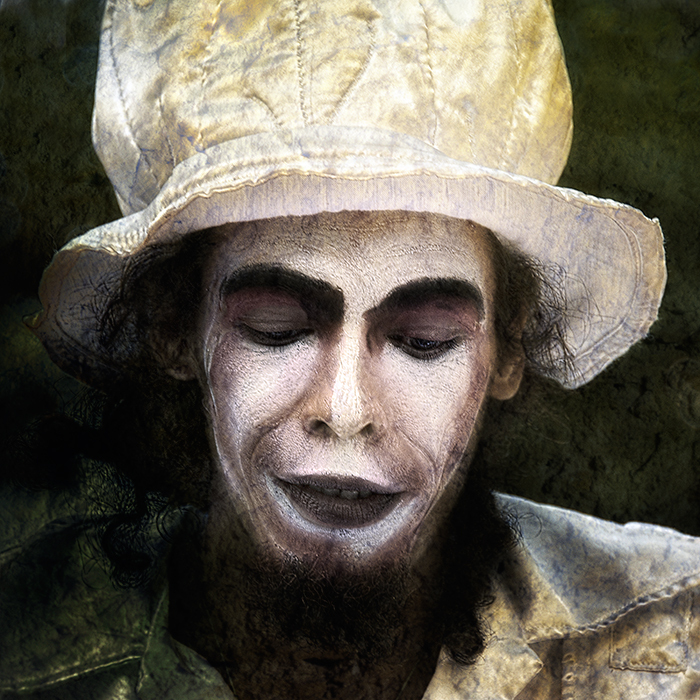 The face, the hat, the clothes and even the background are all tied together with the texture of your old wall.